Attendees both young and old were encouraged to write on two large poster banners, one asking what their favorite thing about the city is and another asking what they would like to see here in the next ten years. This young man will be a Senior in High School ten years from now and the outcome of this plan might help him decide whether to settle here to start a career and raise a family or move somewhere else. The City of Mountain Home is currently working on updating the Comprehensive Plan. The plan, which needs to be updated every ten years is a road map of where the city wants to be over the next ten years in terms of growth, economic development and what's available to the community. 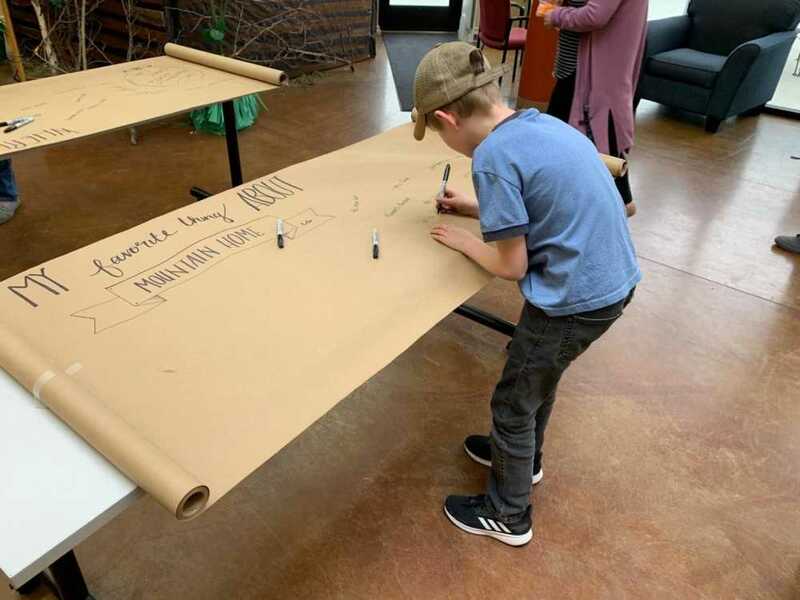 The city held two open houses at the Mountain Home Public Library to give citizens a chance to speak to representatives of the city and make suggestions on how they want to see the city grow. The open houses were held on March 5 and March 12 and had a decent turn out. Around 40 people showed up the first evening and 35 the second day.